The Catholic church’s top official in Jerusalem on Wednesday criticised Donald Trump’s controversial recognition of the city as Israel’s capital, saying it damaged Christmas celebrations and led to hundreds cancelling trips. Archbishop Pierbattista Pizzaballa, apostolic administrator of the Latin Patriarch of Jerusalem, said “dozens” of groups had pulled out of planned visits after being scared off by the announcement and subsequent clashes. He added that the heads of the Christian churches in Jerusalem would find it difficult to accept an official request by US Vice President Mike Pence to visit the city’s holy Christian sites in January, calling for him to “listen more” to other Christians. “Of course this created a tension around Jerusalem and this diverted attention from Christmas,” Pizzaballa said of Trump’s December 6 decision. He stressed, though, that they would continue with planned Christmas celebrations. Trump’s recognition of Jerusalem, breaking with decades of US policy on one of the most complicated issues in the Israeli-Palestinian conflict, has been met with near-daily protests across the Palestinian territories. 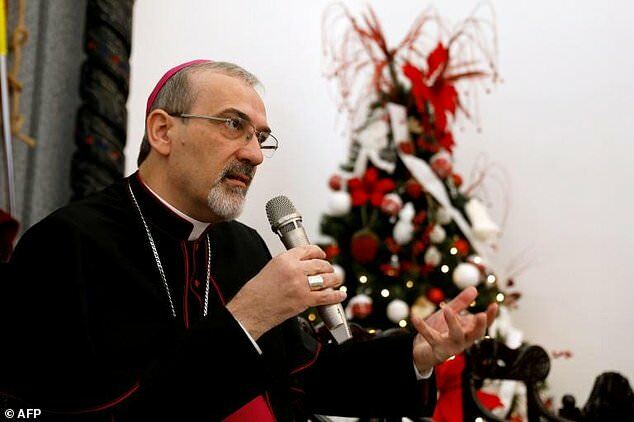 Pizzaballa, the most senior Roman Catholic official in the Middle East, stressed the church was opposed to “unilateral” decisions on the future of Jerusalem. Pence was supposed to visit Jerusalem this week, but it was delayed until January. Pence’s team cited key votes on US tax reform as the cause of the delay. Christian leaders across the Middle East had said they were no longer willing to meet with Pence, an evangelical Christian, following Trump’s decision. Asked whether Pence could visit the Holy Sepulchre, believed to be the site of Jesus’s crucifixion, and other Christian holy sites in Jerusalem, Pizzaballa said it would be a “problem” if he wanted to come on an official visit. “We cannot say no to pilgrims, we are religious, we cannot say no to someone, even if he is the bigger sinner in the world,” he said. But if Pence requests an official visit, “sometimes we cannot neglect the political consequences or political aspects,” he said without elaborating.